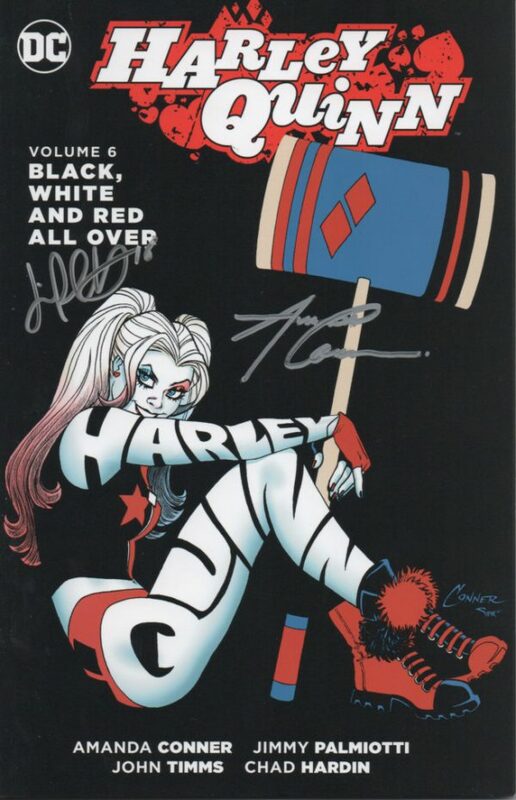 Harley Quinn: Vol 6 Black White and Red TPB – (Signed)! 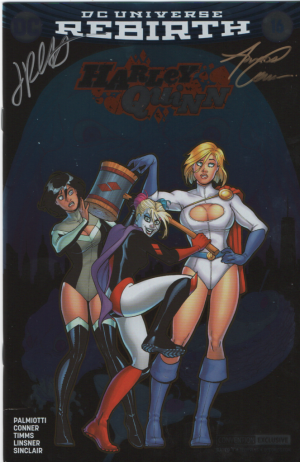 In the aftermath of her encounter with The Joker, Harley’s head is spinning, and she wants nothing more than to get back to her normal life…but she should know by now there’s no such thing! Harley’s known for her even temperament and economy of language—oh, we can’t even finish that sentence. Let’s face it: she’s crazy, and she talks too much. 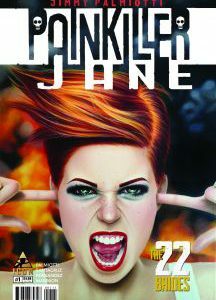 So what happens when she discovers a nemesis even more insane and more hyper-loquacious? 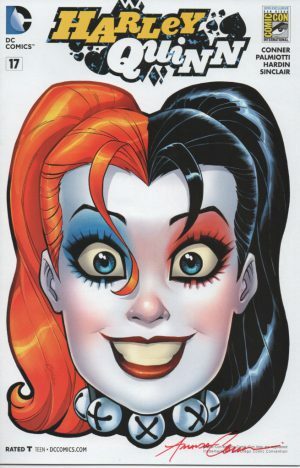 It’s Harley vs. the unbelievable Redtool in these tales from HARLEY QUINN #26-30.